Longing for Spring…to see the bright green new grass, leaf buds on the trees and the little flowers pushing their beautiful faces from the ground. 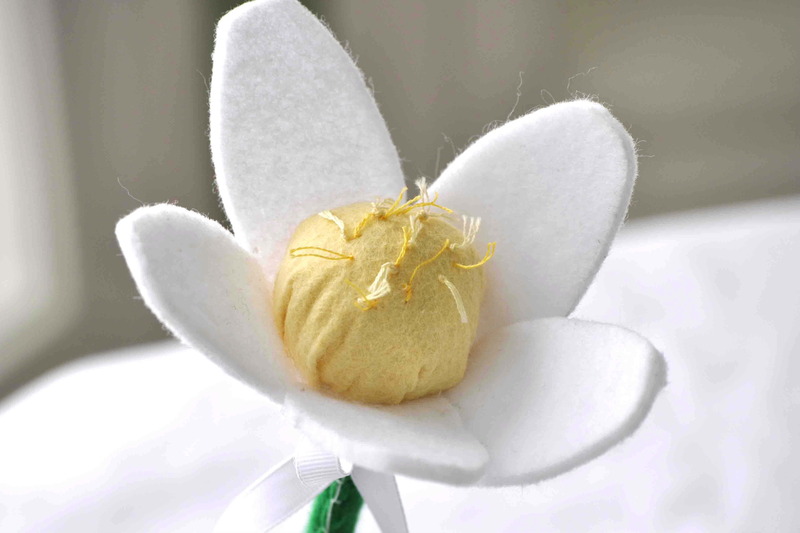 Creating something focused on Spring made me happy…to ponder all of things yet to come…hope this little flower wand brings a smile to your face too. The Blue Bird Sings Happy Birthday! 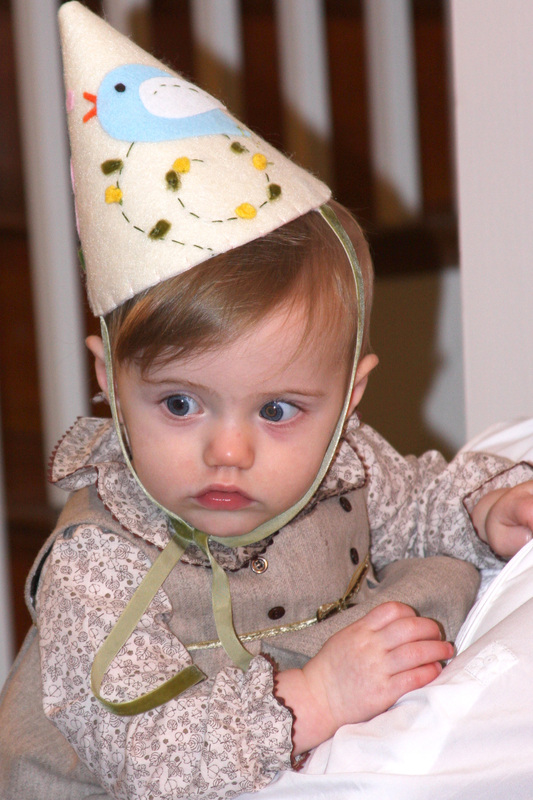 I just had to share this adorable picture of little “T” wearing her first Birthday hat! Isn’t she the sweetest?! 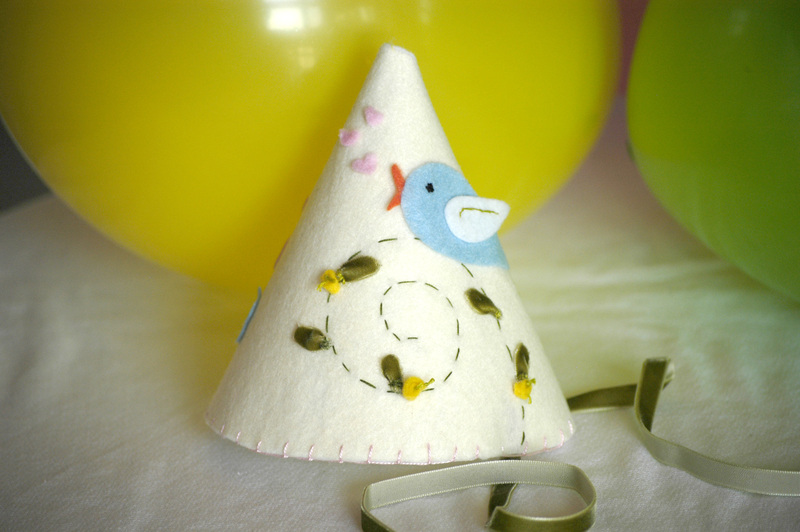 First Birthday’s are so special and I feel honored that I was chosen to make a hat for this wonderful day! A huge Thank you to My Baby n’ Me for selecting the farm hat as their great pick for a birthday party. 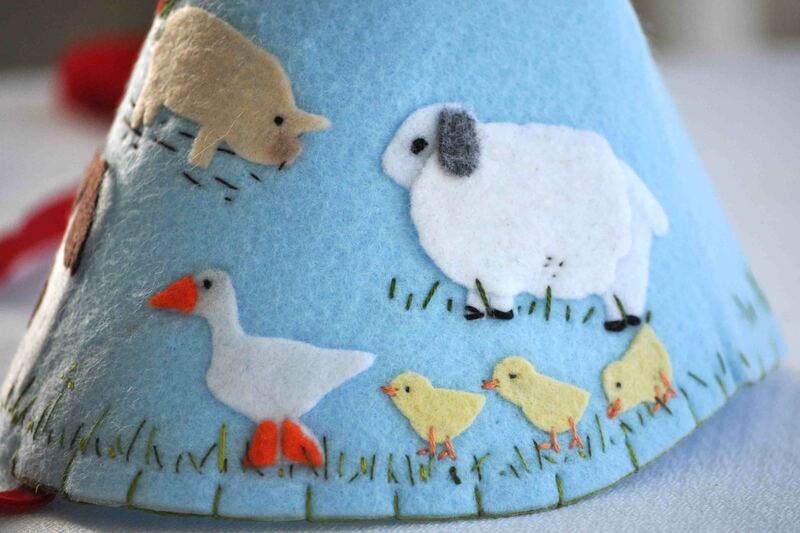 This hat takes a lot of time to create, but it is also one of the most rewarding when it is complete. 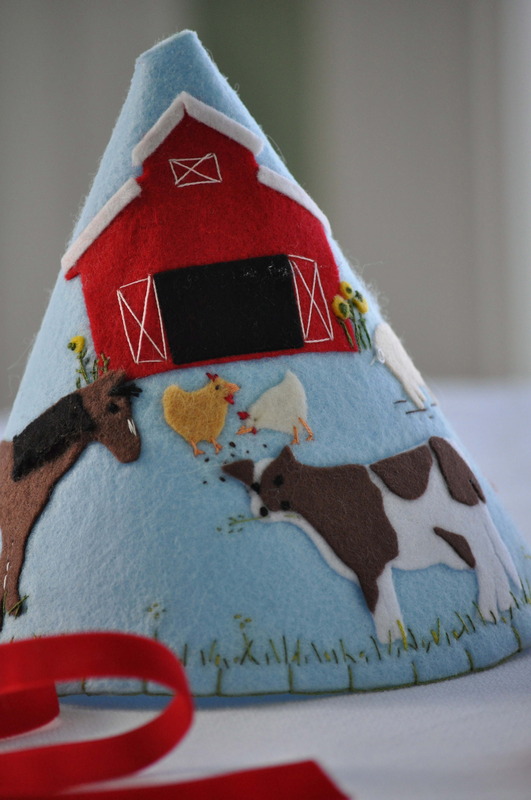 I adore all of the details – the tiny piece of grass in the cows mouth is my absoulte favorite thing! Growing a Baby in Seattle Favorites! Having grown up in the NW – Seattle holds a special place in my heart. 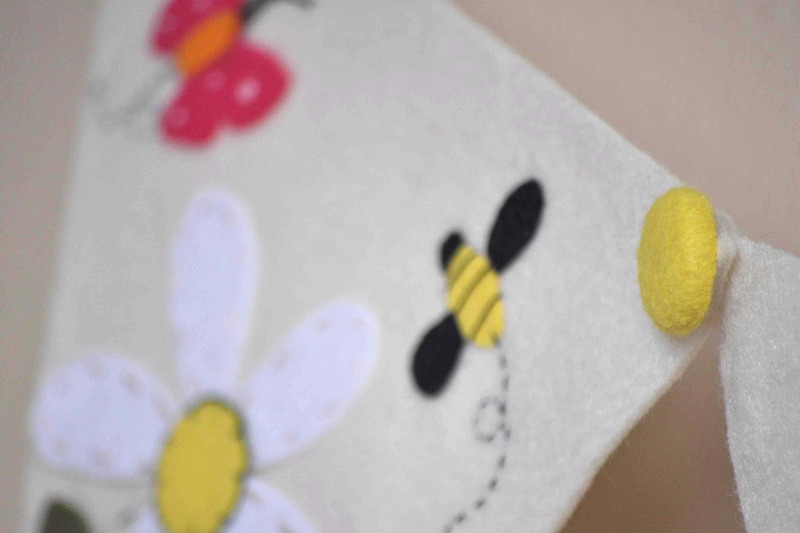 When I saw this post I was thrilled to see that the blog was written by a Seattle Mom (Thanks Carrie) who reviews children’s products and posts the results on her blog. I was even more excited to see that of Kate Lander’s shoppe, she selected my wand (that pairs perfectly with an adorable crown) and the felt hats! Be sure to check out Growing a Baby in Seattle for the latest and greatest product reviews. Put Your Party Hats on! While printing out an order today, I got the nicest note mentioning that I had been featured on a blog called ModernKiddo. The blog was created by two fab, witty mom’s, who love great style. Now who wouldn’t love that? I know I will be adding them to my RSS feed and you should do the same. Perfect for all mommies looking to add some style to your kiddos wardrobe. If you are anything like me, I spend more on my kids wardrobe than I do my own now-a-days! 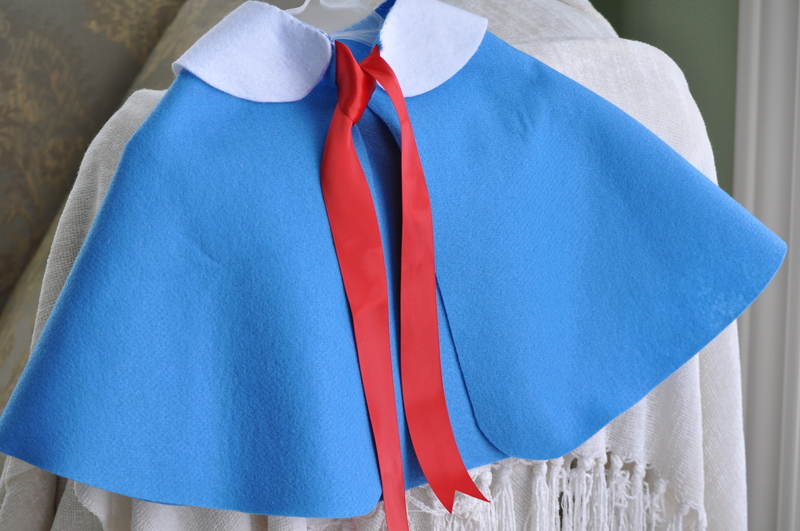 Not sure if you remember a while back, I posted a picture of a custom Madeline Cape and a pin the tail on Genevieve game that I made for a Boston Party Planner, Kate Landers Events. Well, today the party was featured in About.com – a New York Times Company owned website! It is so exciting to see something that I made featured in such a highly regarded website. I am beyond happy! Take a look here! If you are interested in purchasing capes like these, please feel free to contact me at my shop. Custom orders available. Always looking for new and fun ways to create something new, and I thought this idea was brilliant! 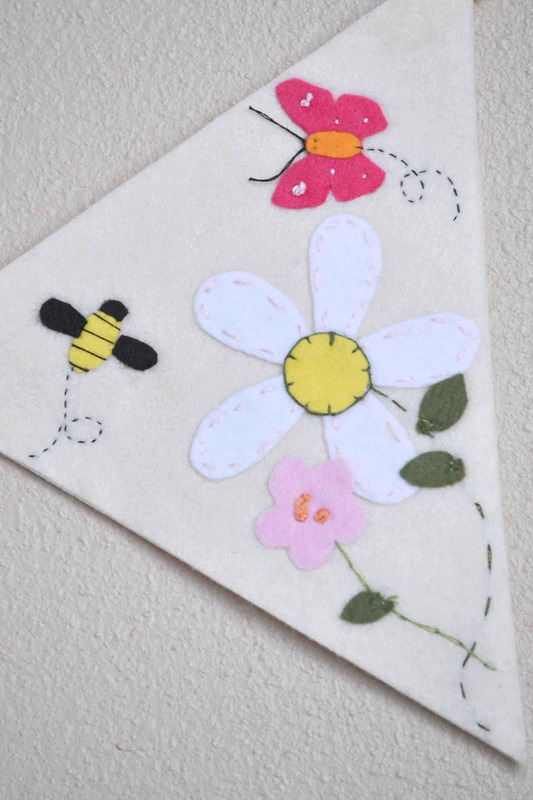 Requested by a customer to coordinate with the Bees in The Garden hat, this bunting will also be used as part of the decor for her daughters birthday party. 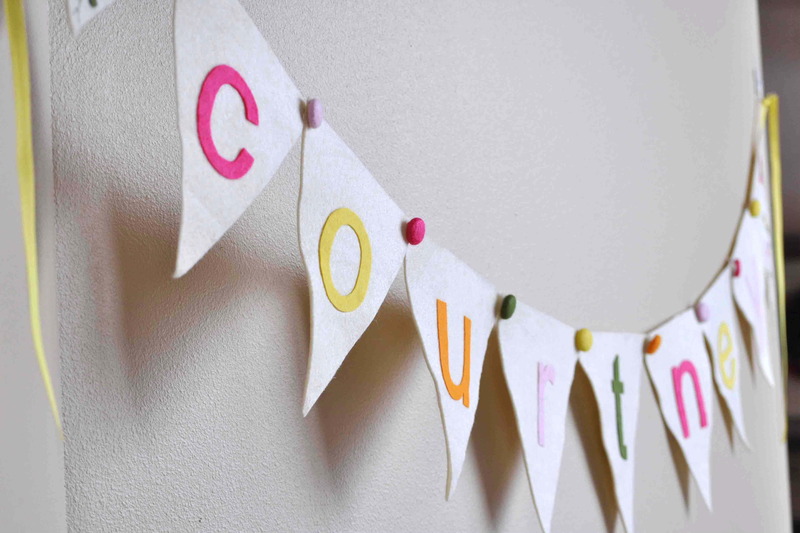 After the party, it will make a darling decoration for her daughters bedroom. 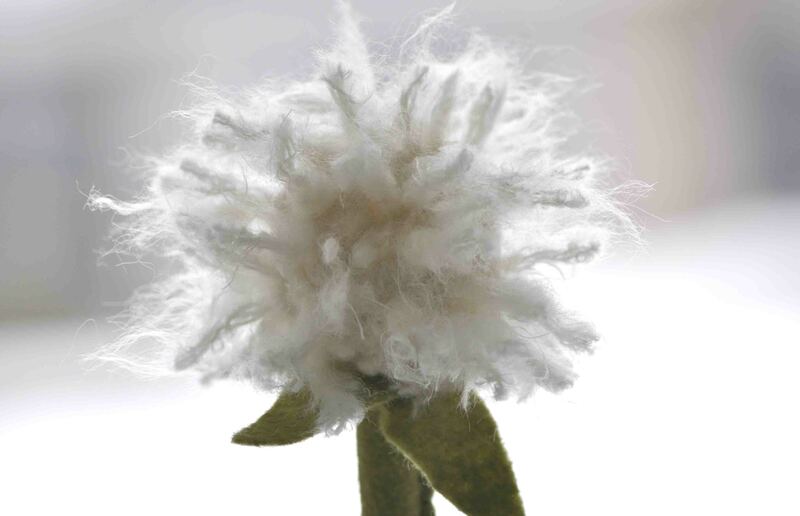 Not only Eco-friendly, adorable too! 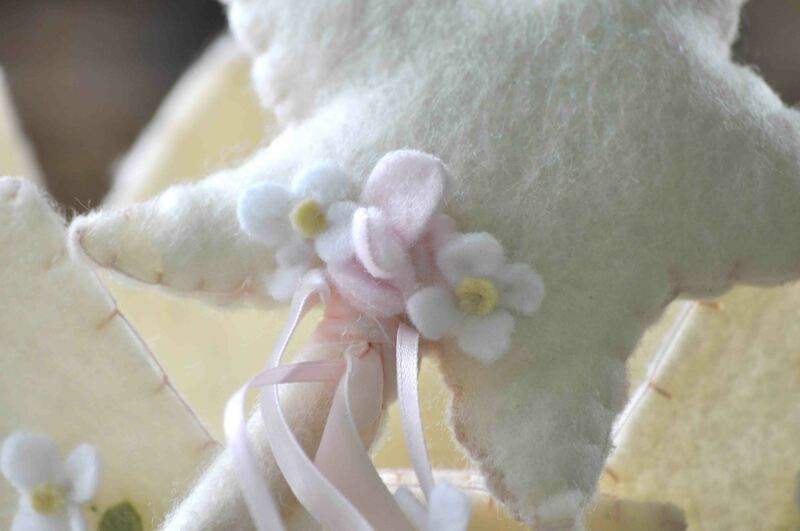 This is a great opportunity to win a Stell & Livi hat, tooth fairy pillow or other fun items! Don’t miss out! Check out Kate Landers Events, LLC blog for more details! Good luck to you! 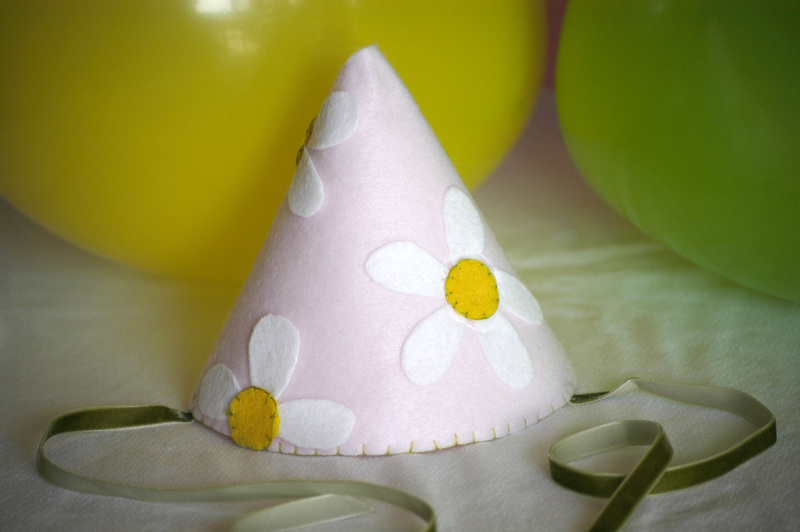 A Huge Thank you to Up Scale Baby Blog for selecting my farm hat as an original idea for a Children’s Birthday Party! See my other hats in my shop, and if you would like something different, just let me know, I love custom orders! While filling out the necessary “materials” template on Etsy to submit my newest creation…I had to laugh at how simple it was: FELT, WOODEN ROD, YARN. I guess you give a girl a few basic items and this is one of the things you will get!